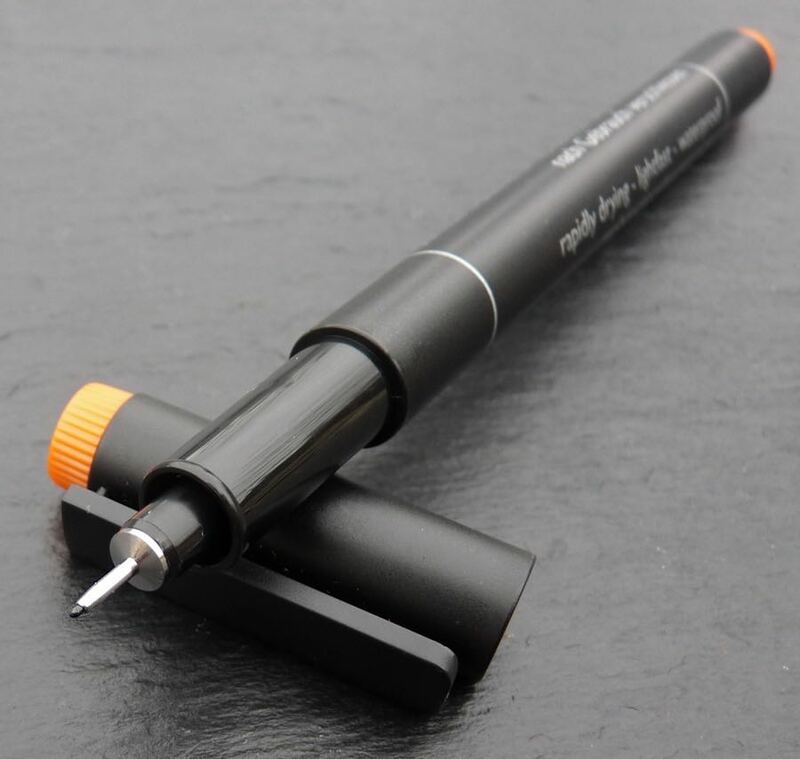 Aristo GeoCollege Pigment Liner Drawing Pen Review – Pens! Paper! Pencils! Aristo in an Austrian company that’s been making drawing instruments since 1862. 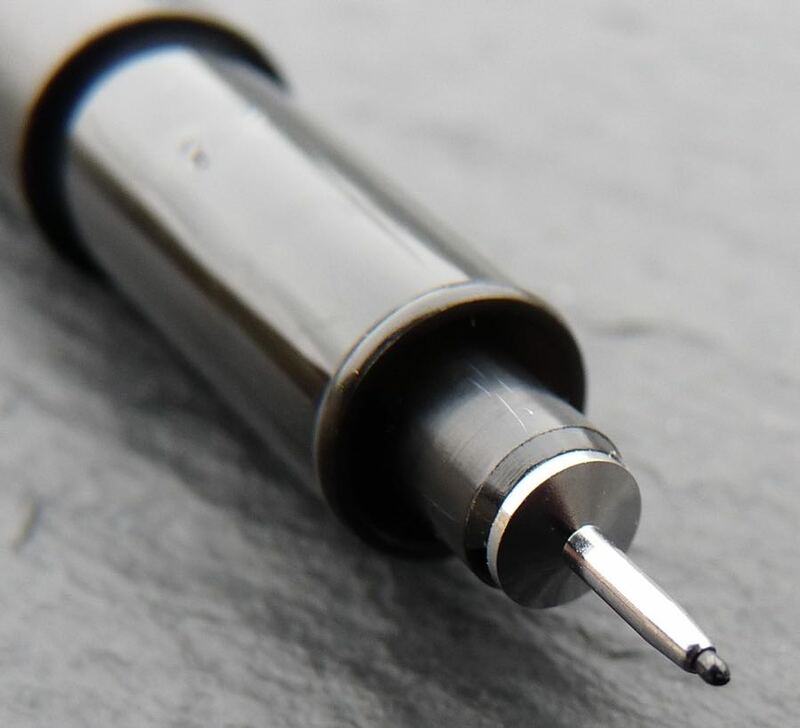 The GeoCollege Pigment Liner is a drawing pen with a fibre tip protected by a metal sleeve. 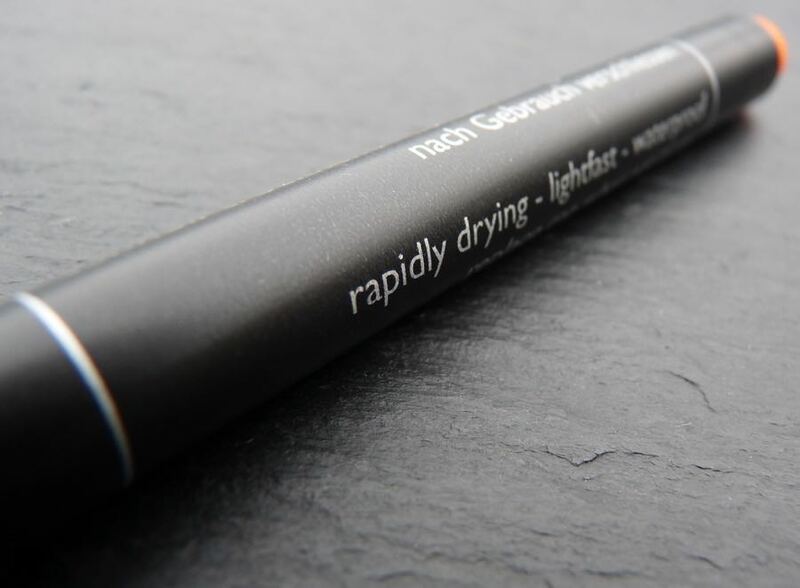 It gives a good dark line, which is very consistent and dries extremely quickly. The barrel is a fairly tasteful matt black with silver writing. Interestingly the name Aristo doesn’t appear anywhere. 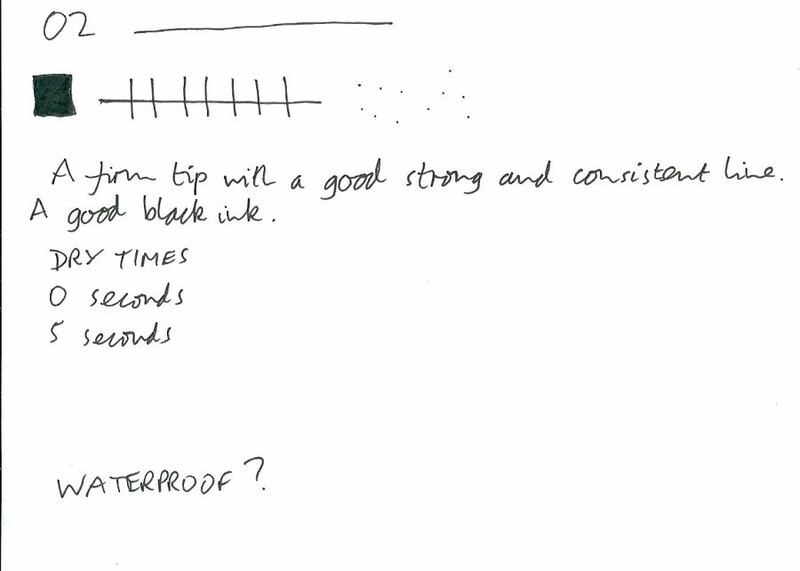 The ends of the barrel and cap are coloured according the the tip size, making it easy to pick the one you want. 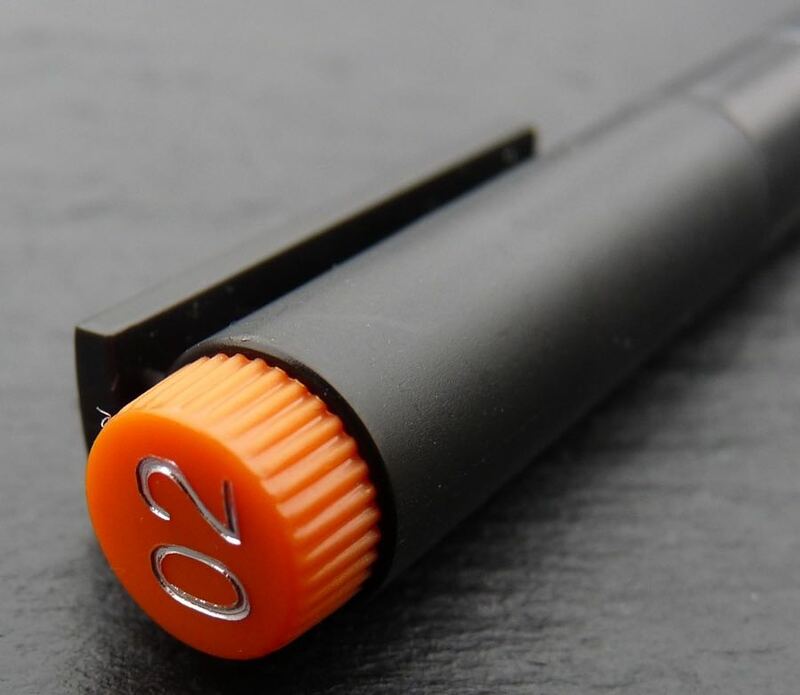 They’re orange for this 02 pen. The grip section is smooth and long enough to provide a comfortable grip. The clip is plastic and fairly strong but, as with all plastic clips, vulnerable to breaking. The cap pushes closed and pushes on to post. It posts securely. It’s a nice light pen, comfortable to hold. This pen was a complete surprise. I’ve looked at quite a few different drawing pens over the years and had given up hope of finding anything even in the same league as the Pigma Micron, Multiliner or 308. The Aristo GeoCollege is not only right up there with them, it’s giving them a run for their money. I’ve just ordered one to try after your review! I’m definitely not an expert, but I’m not in love with the Sakura Microns (seem to run/dry out quickly). Prefer the Copic Multiliner. Maybe this Aristo will become my new favourite! 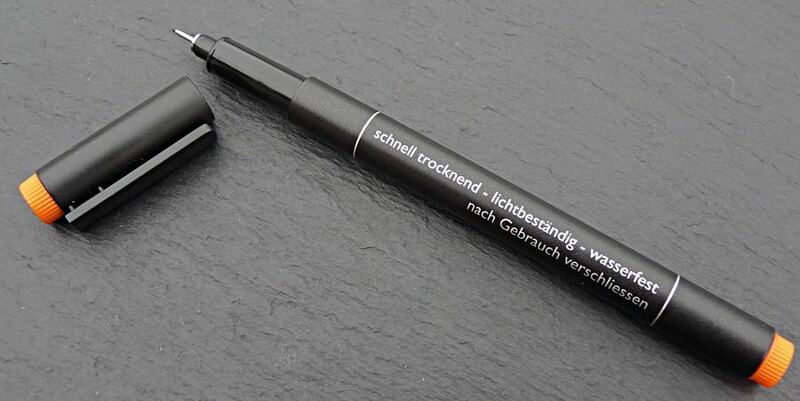 I’ve always used Copic Multiliners but I prefer this one. However I’ve not yet tried the other sizes. I’m planning on doing that soon, before I make the switch completely. I’d be interested to hear what you think when you get yours.